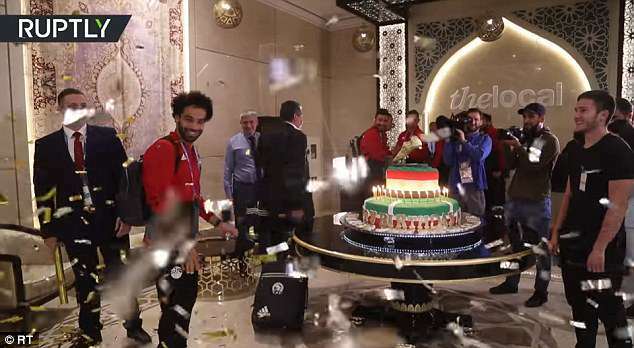 After he was forced to watch Uruguay steal a last-minute winner from the bench on his birthday, a group of fans from Chechnya managed to get a smile from Mohamed Salah as they gave him a gigantic cake to celebrate the occasion. It may have not been what he wanted ahead of his 26th birthday, as Egypt came away empty-handed from their opening World Cup match with Uruguay. His side succumbed to a late goal as head coach, Hector Cuper, chose to save his star man for their next two clashes with Russia and Saudi Arabia. 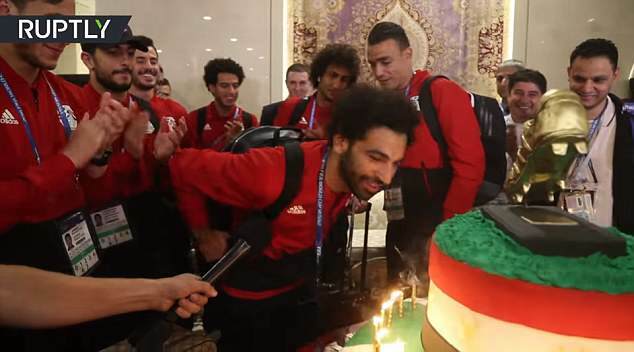 But the Egyptian was in good spirits as he sang ‘happy birthday’ with his team after turning 26 on Friday and was presented with the cake by the Russians. 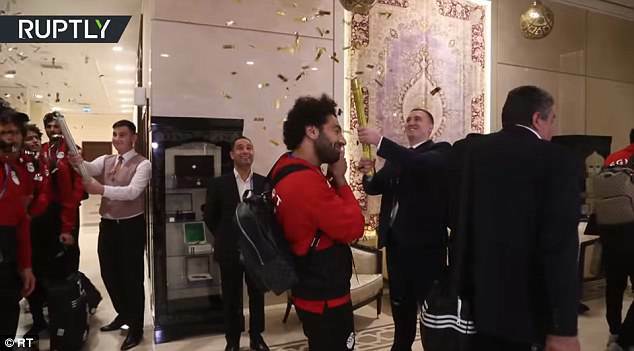 With a big golden boot atop, it was a nice touch from the hosts as they surprised the forward as he was entering a foyer. The celebrations were understandably subdued, after Egypt had lost earlier that day to an 89th minute goal from Uruguay’s Jose Gimenez. 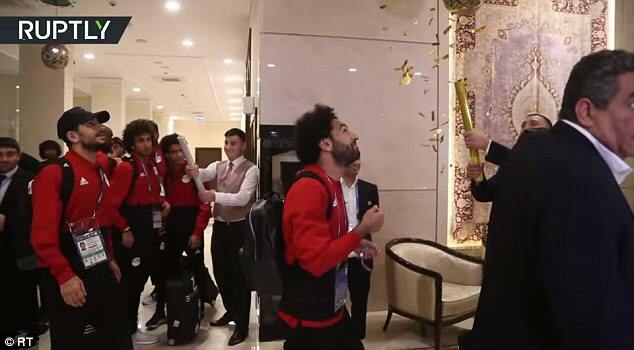 Salah blew out some of the candles, but appeared to feel a little awkward before he and the team moved on. The Liverpool star has been recovering from a shoulder injury that originally seemed would rule him out the competition. But after their opening game defeat, he will almost certainly start their next game with Egypt in need of all three points if they want to progress. They face hosts Russia on Tuesday night, who thrashed Saudi Arabia 5-0 to kick off the tournament last week.